Because you love tasty BBQ, great entertainment and loads of fun. Get your tickets now. 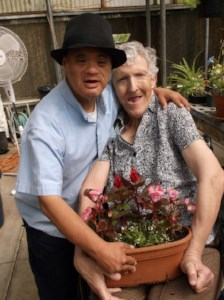 Sponsors help make our programs and services possible. 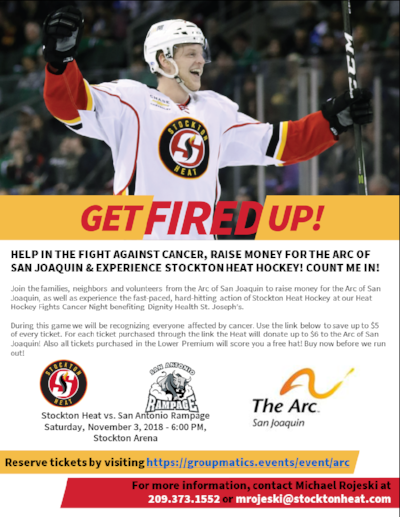 Get your Stockton Heat Hockey tickets here to support The Arc and the fight against cancer. Nov 3 - Stockton Heat v. San Antonio Rampage. 6 PM at the Stockton Arena. Go Stockton Heat!